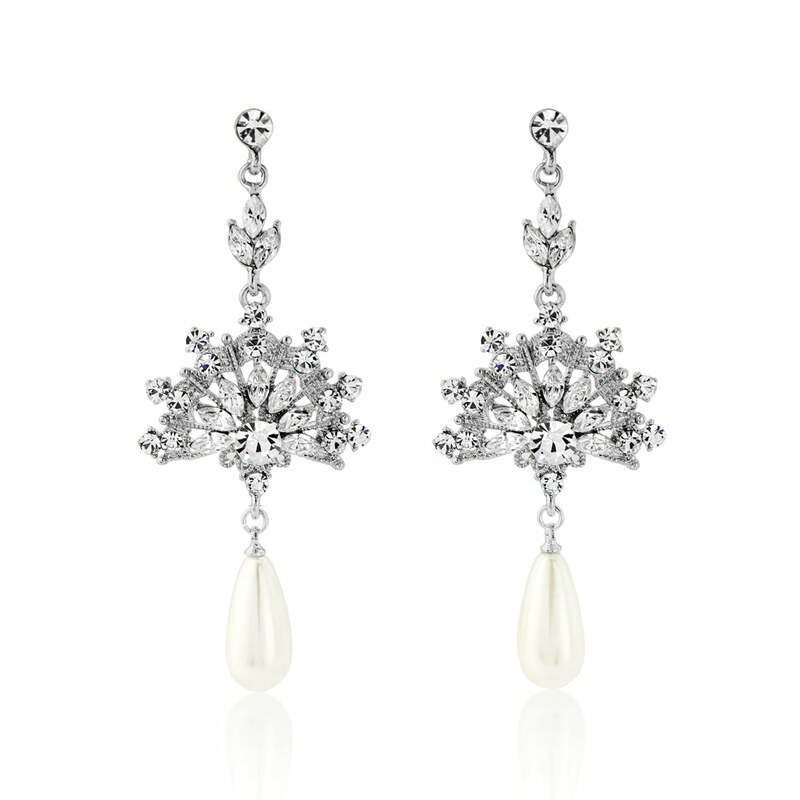 Elegant 1920s pearl and crystal fan drop earrings with a hint of Edwardian charm. Capturing the glamour of the 1920s with a hint of Edwardian charm, our Heirloom Fan Earrings are simply breath-taking. Elegant drops, featuring a silver tone fan design encrusted with sparkling Austrian crystals, hold a shimmering ivory pearl pear drop which brings alive the sophistication of the Great Gatsby era. A flattering length to bestow chic style for an array of occasions from a glamorous evening event to a dinner date. Exquisite bridal earrings for the bride who adores precious vintage wedding jewellery, Heirloom Fan Earrings accessorise an elegant Art Deco embroidered gown with effortless ease and add a touch of whimsical fairy tale charm to full-skirt dresses. Accentuate your special day style with a vintage style hair slide and a bejewelled cuff.